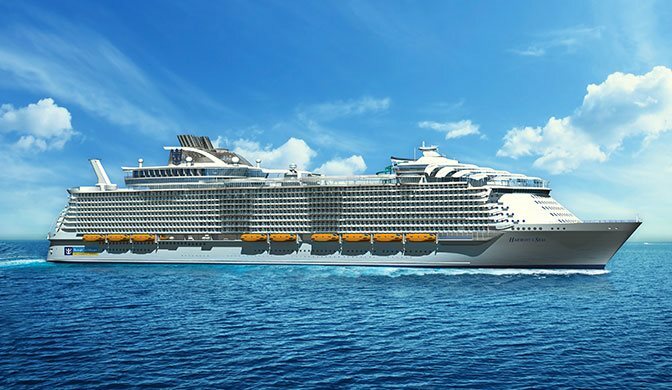 Introducing Harmony of the SeasSM, Royal Caribbean's latest addition to their family of Oasis-class ships that revolutionized the industry. She introduces the first waterslides on Royal Caribbean with a splash. Three thrilling waterslides will bring brand new adventures to the ship's Pool and Sports Zone, as you dip, dive and swirl three decks down through a series of twists and turns.